Big family = loads of chores. With a family of seven, running our house takes a LOT OF WORK. Everyone is expected to chip in to keep things running smoothly. Assigning chores in my house frees me up to take care of dinner, or to play outside with the children. 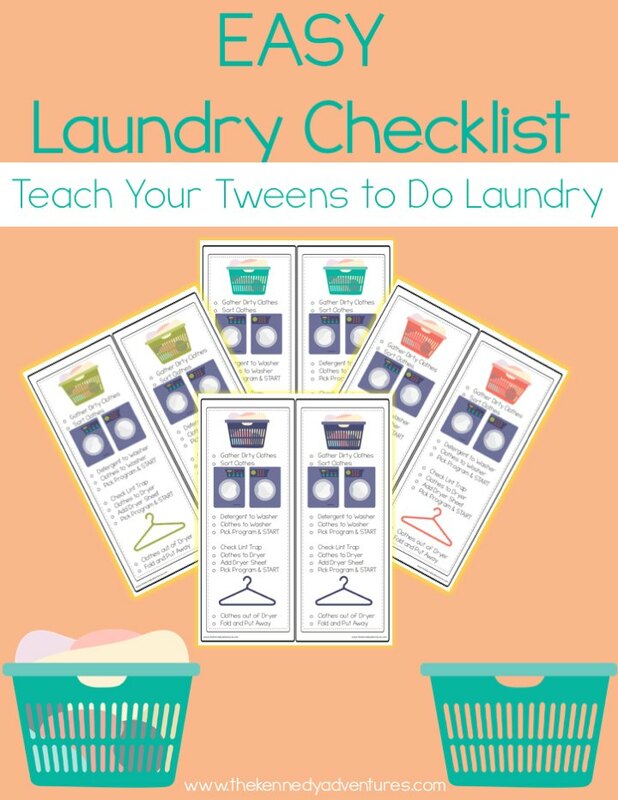 Are you ready to pass laundry on to your tweens? Take a look at this step by step tutorial to help them along. Like most big families, we amass a mountain of dirty clothes. 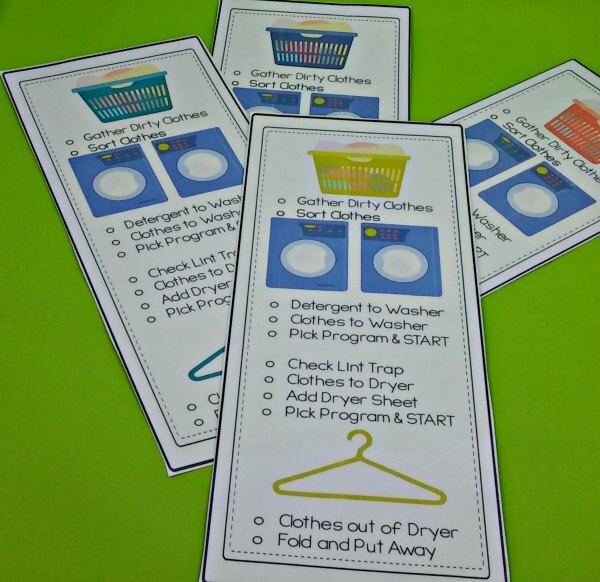 I keep our laundry checklist on each hamper for easy access and instructions. In our house, we have three baskets for sorting — warm, cold, and hot. Warm is for light colored or neutrals (khaki), hot is for sheets, towels and underwear, while cold is for dark colored clothes. I always double check to make sure things aren’t mixed up. This is also where we check pockets for toy cars, gum and even spare change. The rule in our house? If you find money while doing laundry, you get to keep it. Because my entire family suffers with allergies, asthma, and sensitive skin, I have to be super careful with my detergent. Anything with dyes or loads of fragrance can set off an allergy attack or rash. 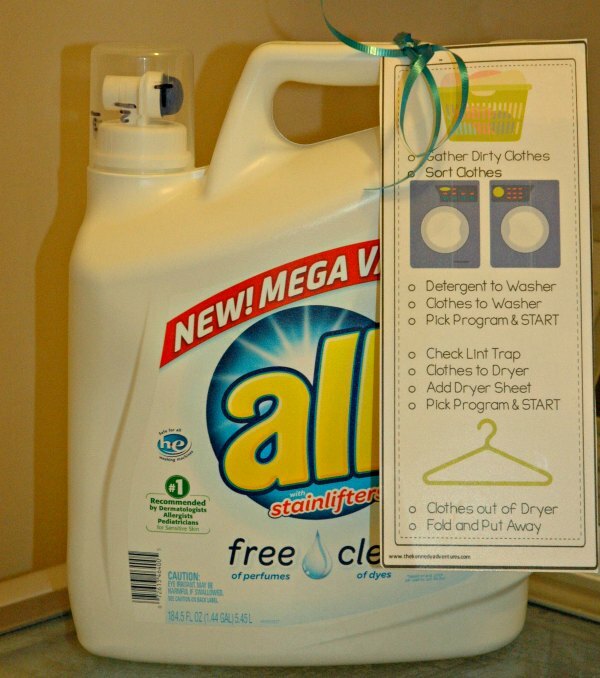 After switching to all® free clear liquid, I didn’t have to worry about potential problems. It fights tough stains, whitens whites, and brightens colors without dyes, perfumes, certain chemicals, and irritating residues. 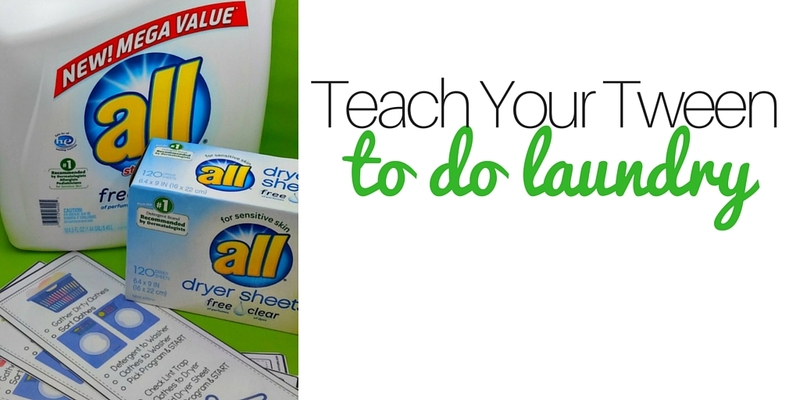 Teach your tween how to fill the detergent dispenser with the correct amount of detergent. When you’re new to doing laundry, your first inclination is to fill the dispenser to the brim. 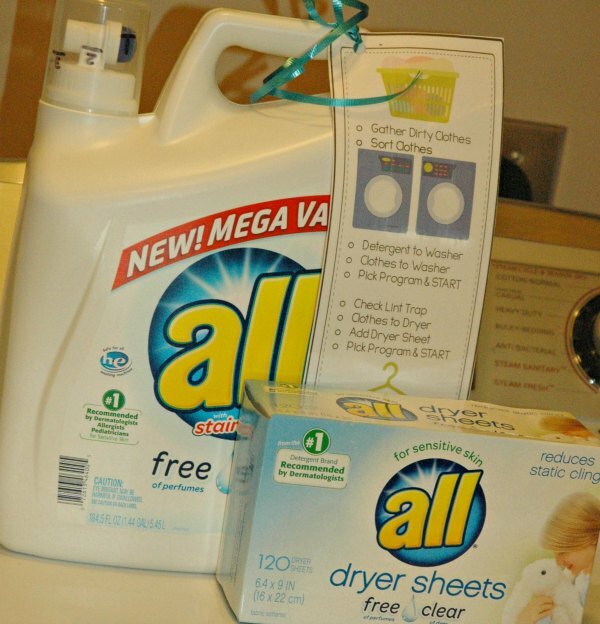 With a highly concentrated formula for HE washers, you really don’t need much detergent to get rid of the dirt and grime in your clothes. 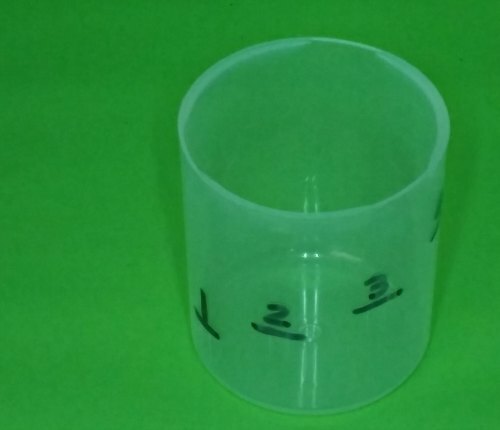 Sometimes the lines on the all® free clear liquid dispenser are hard to see. I take a permanent marker and mark the line for easier visualization. When you look at the washer, there’s a lot of bells and whistles! We keep it simple here — choose the temperature, and type of clothing. Once we push the go button, we’re free to relax a bit or go ahead and get the next load sorted and ready to go. Now it’s time to teach some basic dryer safety. We ALWAYS check the dryer lint trap before putting in a load. 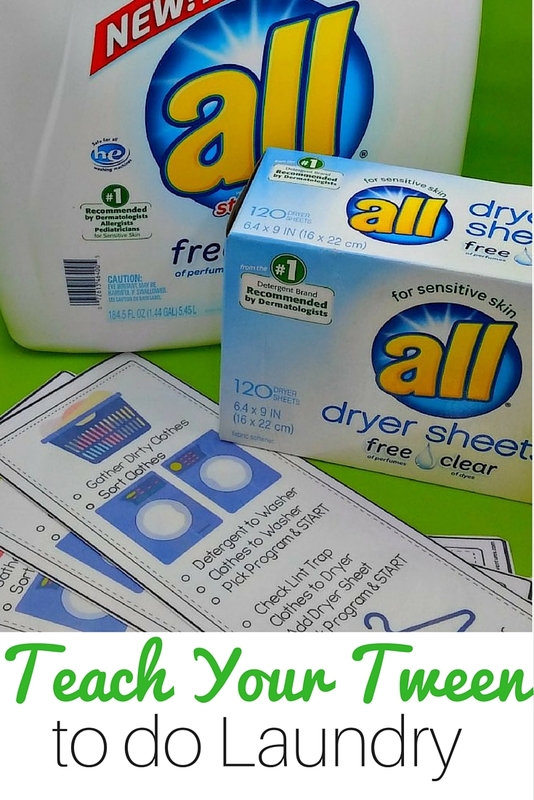 We add our all® free clear dryer sheets here to cut down static and make our clothes more comfortable. Then we select a program and go! 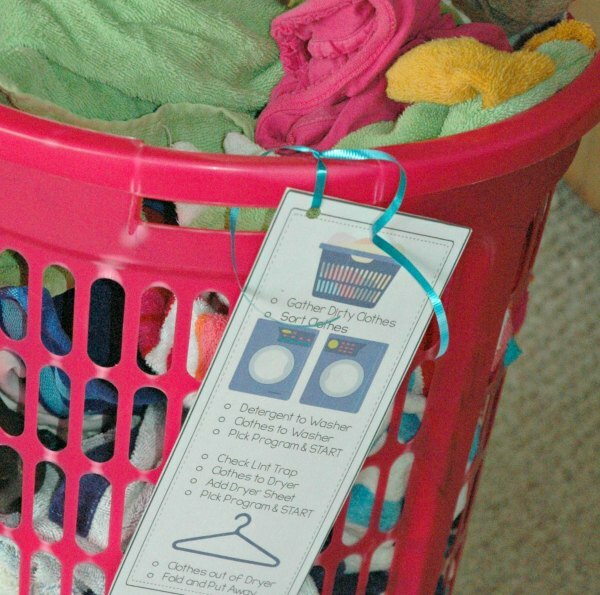 Once the timer goes off, it’s time to pull out your fresh, clean clothes. If there’s not a backlog of laundry, we start having a folding party right away. To help tweens to remember all the steps, I created a handy printable. We keep one on each hamper, as well as one in the laundry area. They can check their progress against this list and stay on track. Once you’re all done with the laundry for the day, don’t forget to check your supply status. 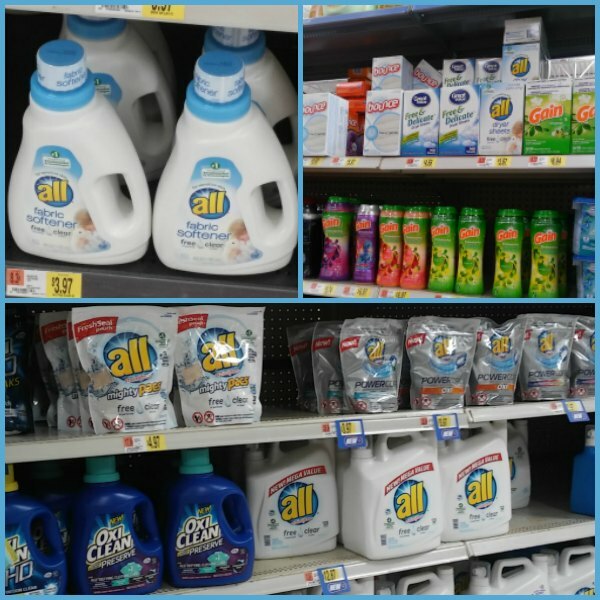 Pick up all® free clear liquid, mighty pacs, fabric softener or dryer sheets at your favorite retailer — we grabbed ours at our local Walmart. What about you? 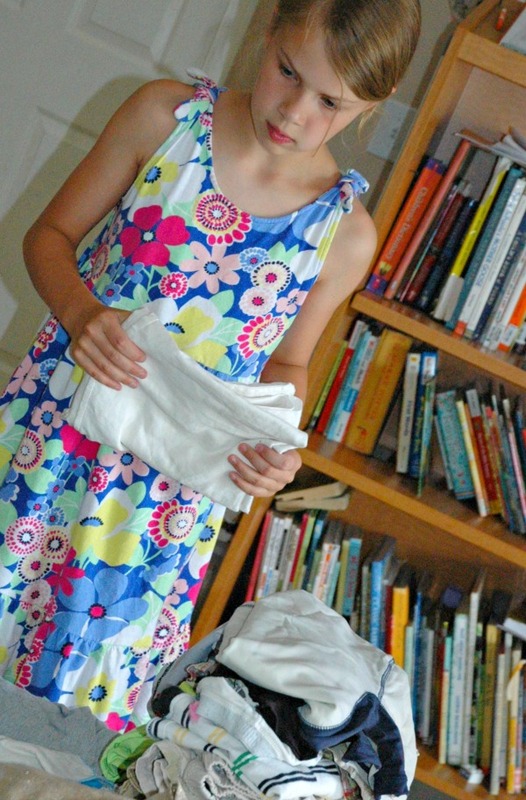 Have you taught your tweens chores to free up part of your day? Share your best ideas and connect with parents in the all® free clear community.